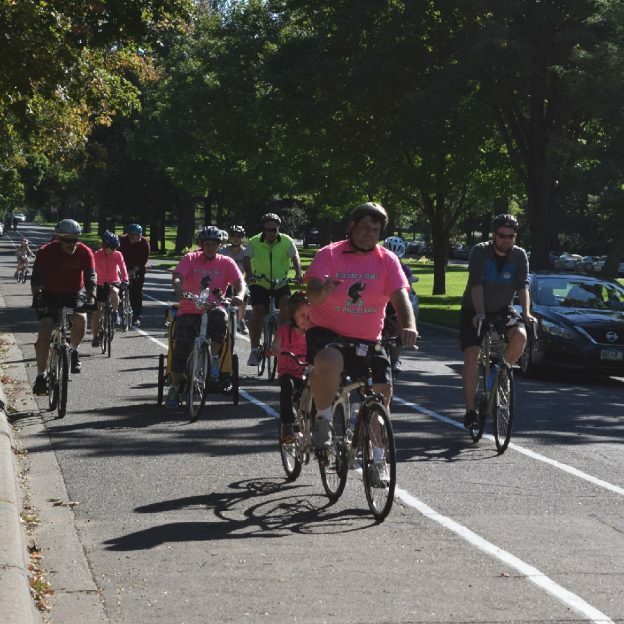 Pedal your bike down along Summit Avenue and join the ‘Ride Like a Bear’ crew at this years St Paul Classic Bike Tour, September 10th. 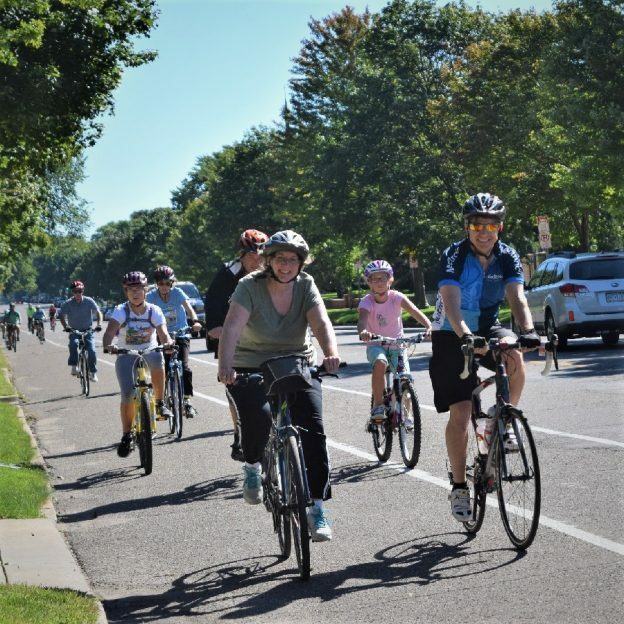 This entry was posted in News and tagged #nextbikeadventure, Bicycle Alliance of Minnesota, bike, BikeMN event, family freindly, fun, Protected Bike Lanes, safe ride, St Paul Classic Bicycle Tour, Summit Avenue on August 23, 2017 by Russ Lowthian. 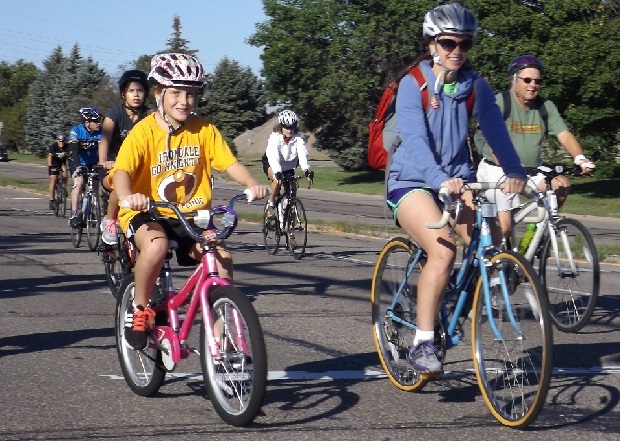 For the second year in a row, the Bicycle Alliance of Minnesota (BikeMN) will host the Headwaters to Hills Bike Ride, July 10-17, 2016. 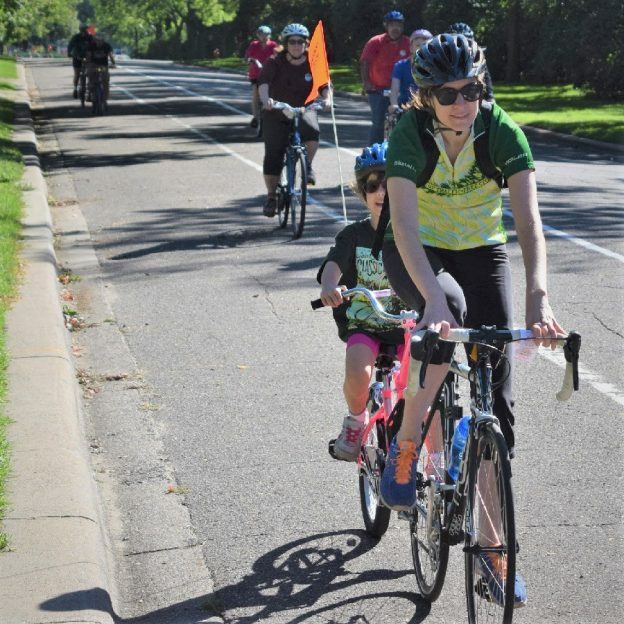 As the name suggests, the ride will start at the origin of America’s great river, the Mississippi River’s Headwaters, in Itasca State Park. 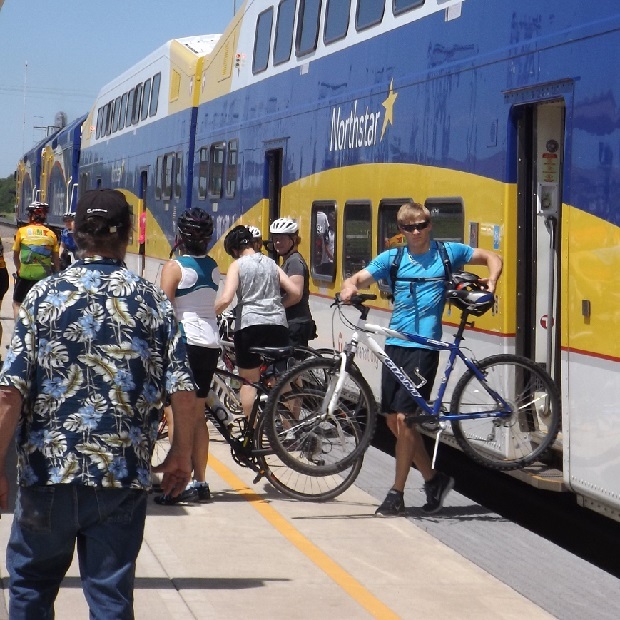 As last year the tour follows the Mississippi River Trail (MRT) downstream, enjoying endless bluffs and greenery until reaching the Iowa border. 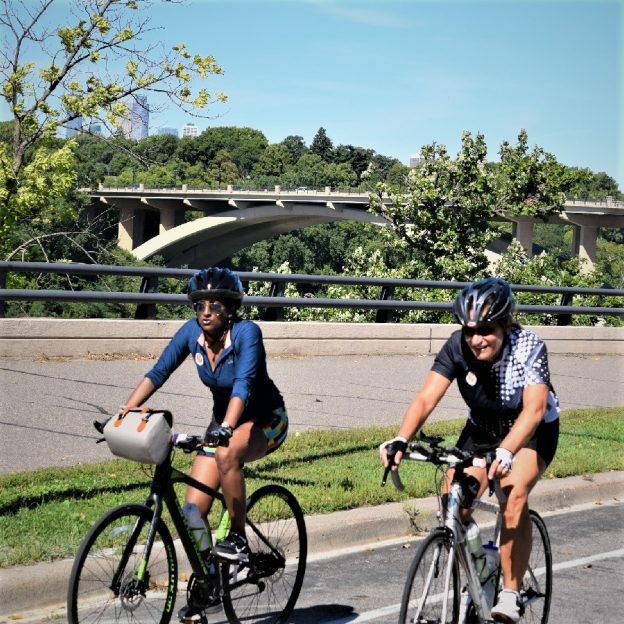 Over the seven days you will have a chance to bike almost 500 miles on beautiful roadways, paths and trails, passing through several Minnesota cities large and small and some diverse state parks. 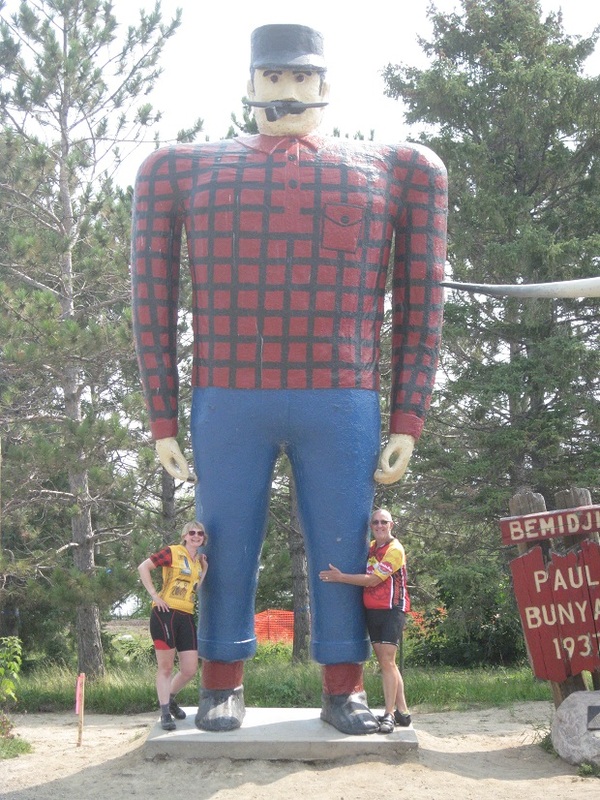 Headwaters to Hills Bike Riders posing with Paul Bunyan and Babe on the 2015 tour. 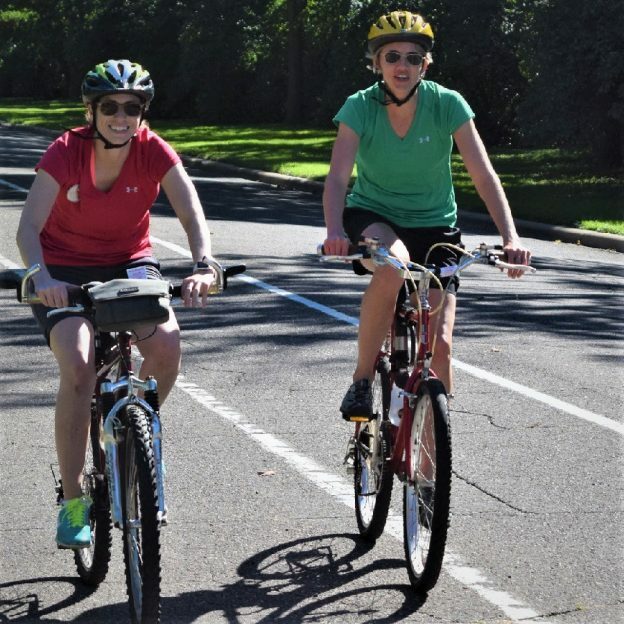 As part of Minnesota’s State Park’s 125th anniversary, the Headwaters to Hills Bicycle Tour takes you through six state parks, traverses two state bicycle trails and overnight at two state park campgrounds. 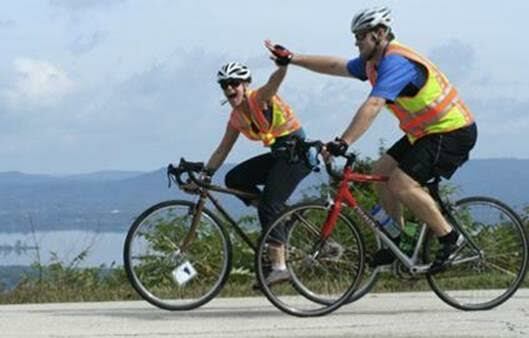 All riders on the tour will also earn the 125th Anniversary Bike, Boot, and Boat Challenge badge. In Hastings you’ll learn about a Civil War Veteran at the LeDuc Mansion. In Little Falls, we visit the birthplace of aviator Charles A. Lindbergh. And of course we can’t leave out Paul Bunyan and Babe his Blue Ox in Bemidji, or the home of Red Wing Pottery and Red Wing Shoes, or the always-stunning National Eagle Center in Wabasha. Of course there’s quirky history as well: the birthplace of waterskiing in Lake City or the Eelpout Capital of Walker, and even the fishing bobber water tower in Pequot Lakes! 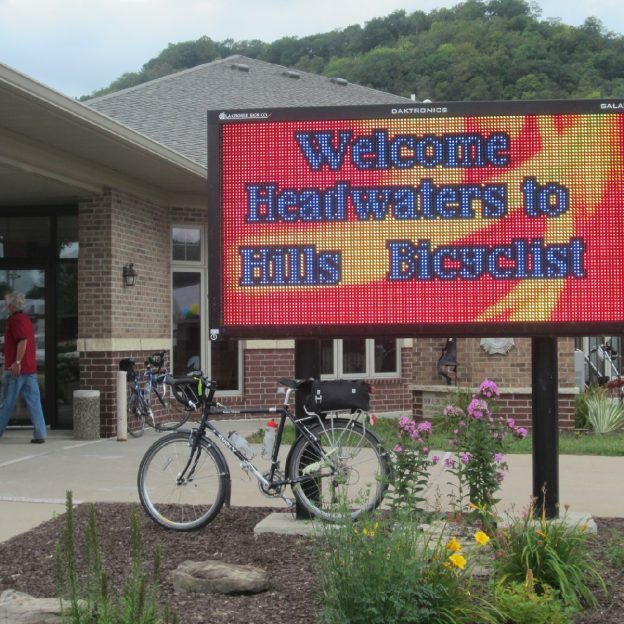 Bike riders on the 2015 Headwaters to Hills Ride celebrate their accomplishments as they get close to the end, in Bluff Country. 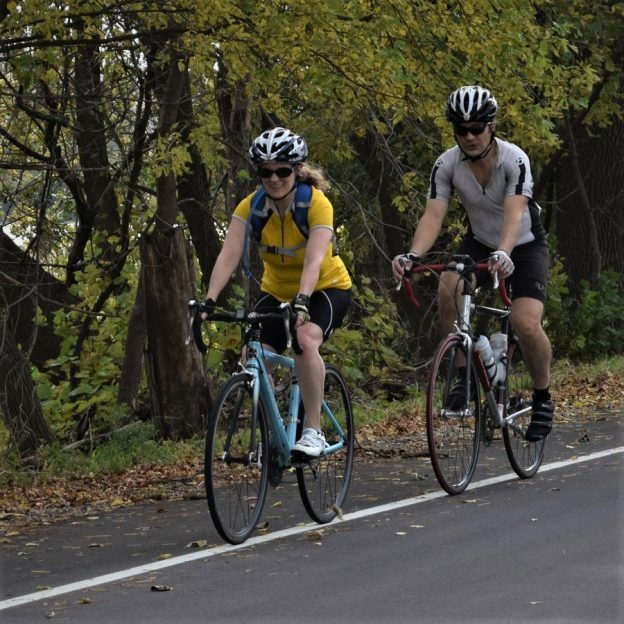 Whether you are a Minnesota history buff, a cyclist fascinated by the Mississippi River and want to add some state parks to your “bucket list”, or just want to say you pedaled across Minnesota, the Headwaters to Hills ride has you covered. 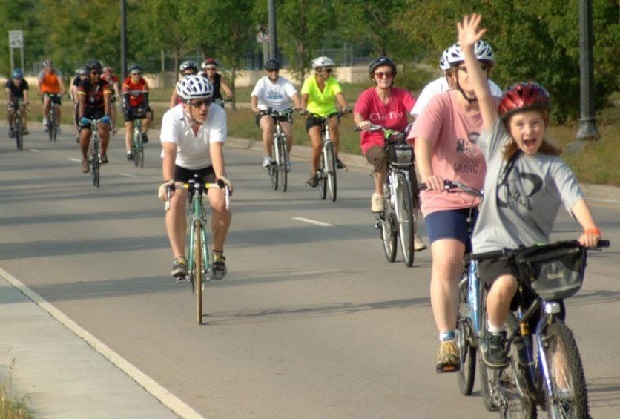 Sign up today and pedal the Mississippi River Trail through Minnesota July 10 – 17! 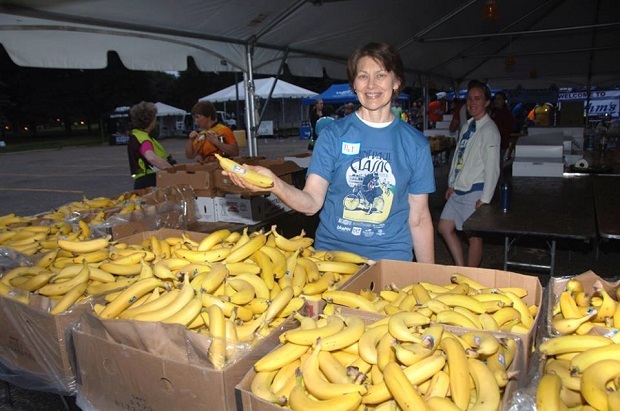 This entry was posted in News and tagged #nextbikeadventure, #onlyinMN, BikeMN event, Headwaters to Hills Bike Ride, Mississippi River Trail, MN trails, MRT ride on May 27, 2016 by Russ Lowthian.